The coast of Alicante recreates a perfect symbiosis of history and beach tourism. From the Northern town of Denia to the most Southern Pilar de Horadada, tens of fishing villages have become major tourist attractions in recent years. Locally known as the Costa Blanca, its beaches, coves and cliffs along 160 kilometres of coastline delight all visitors. This is one of the areas of Spain where the summer tourism has developed more in recent decades. 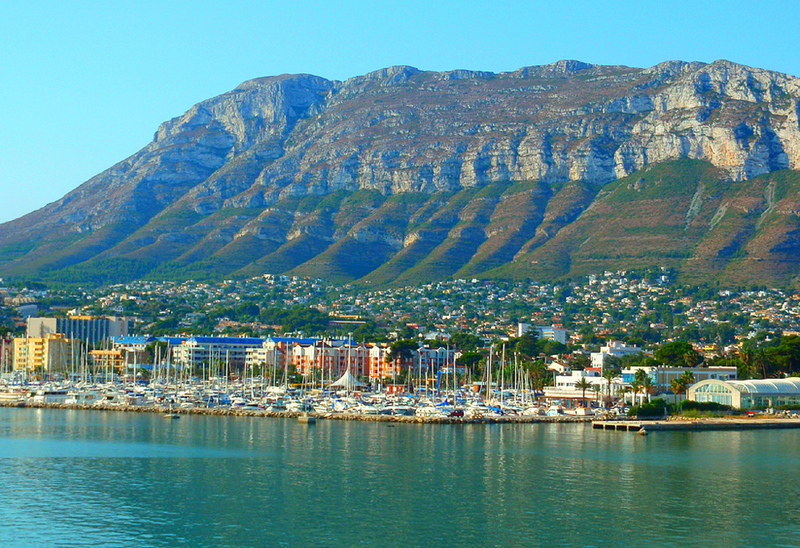 Denia is a town dating back to Roman times, when the city was dedicated to the goddess Diana. The City Council façade displays two memorial tablets from the ancient Roman temple. Tourists can stroll along narrow streets among a suggestive seaside atmosphere. The red tiled white houses give Denia that traditional feel that makes it so special. In Denia you can find large beaches of fine sand as well as more rocky and rugged landscapes, including the natural park of Montgó, which is a must for visitors. Jávea is the ideal place for enjoying the sun and practising water sports. Located between the capes of San Antonio and Nao, the town has more to offer than clear waters. Back in the day the city was built around the fortress of San Bartolomé, an Elizabethan Gothic monument which protected the village from the attacks of pirates. To learn more about this fascinating story, visit the Archaeological and Ethnographic Museum. The city of Calpe has managed to combine very well the tourist flow with its old essence. It is ideal for a walk along the coast or on lively streets of the town center instead. This historic site is bounded by the old city walls that protected it from pirate sieges. The history of Calpe in the Mediterranean civilizations is extensive, from the Iberians and Phoenicians to the Romans, and a few vestiges of this have endured the passage of time such as the Baths of the Queen, an ancient fish salting factory from Roman times.